What is a UL Listed Current Transformer versus a UL Recognized CT? When it comes to current transformer (CT) requirements, approvals and registrations can cause quite a headache for inspectors and installers. Sifting through different products and components to decipher certifications and seals can be quite a challenge, which is why knowing the difference between a UL Listed current transformer and a UL Recognized current transformer is so important. Use this article as a guide, and when in doubt, contact an Aim Dynamics representative and we will help you make the right decision regarding approval requirements. 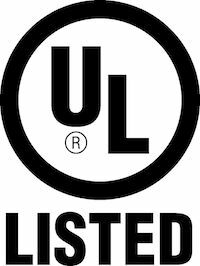 UL listed products are marked by the UL Listed seal along with the pertinent manufacturing information, including the manufacturer’s name, trade name, trademark, and/or other authorized identification. To avoid cases of fraud or confusion, be sure to note that all design elements of the UL Listed seal are present on the device. 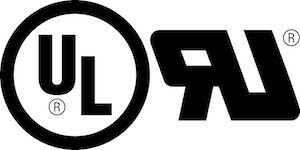 Look for: the letters UL contained within the circle, the word “LISTED” in capital letters below the circle, an alpha-numeric control number, as well as the product name. What is a UL Listed Current Transformer (CT)? A current transformer that is marked as UL Listed, is a product that has been tested by UL according to nationally recognized safety standards and has been found to be in compliance with those standards. This means that it is free from reasonably foreseeable risk of fire, electric shock, as well as related hazards. It also signifies that the metering package was manufactured under UL’s Follow-Up Services program – this prevents knock-off brands, certain relabeling of products, and so on. UL Listed CTs can be installed directly in the field and do not need to be packaged as part of a larger system that is calibrated/tested in the factory. What is a UL Recognized Current Transformer (CT)? In the case that you’ve searched the product packaging and hardware and have not located a UL Listed Mark, you will likely find the UL Recognized Component Mark. UL requires that UL Registered products be configured in the lab to ensure the overall solution is covered by UL. If the product is UL listed, this is not a requirement, making an installation much more reasonable. A UL Recognized CT has not been investigated for field installation. Instead, it has been investigated as a component that will be packaged at the factory as part of a complete system, which is eligible for investigation by UL (as a potential UL Listed product). A current transformer that holds only a UL recognized mark should be considered as an unlisted product. It is critical that the meter and CT are fully compatible, which can only be identified through the presence of a UL Listed mark. It’s always advisable to check the UL Online Certifications Directory in order to verify the required device certifications. Or, call Aim Dynamics at +1 (303) 772-6100 and let us help you find the best product for your needs. What are the price differences between UL Listed CTs and UL recognized (unlisted( CTs?